Jacksonville, Fla., and you learn nearly everything you need to know about the company. 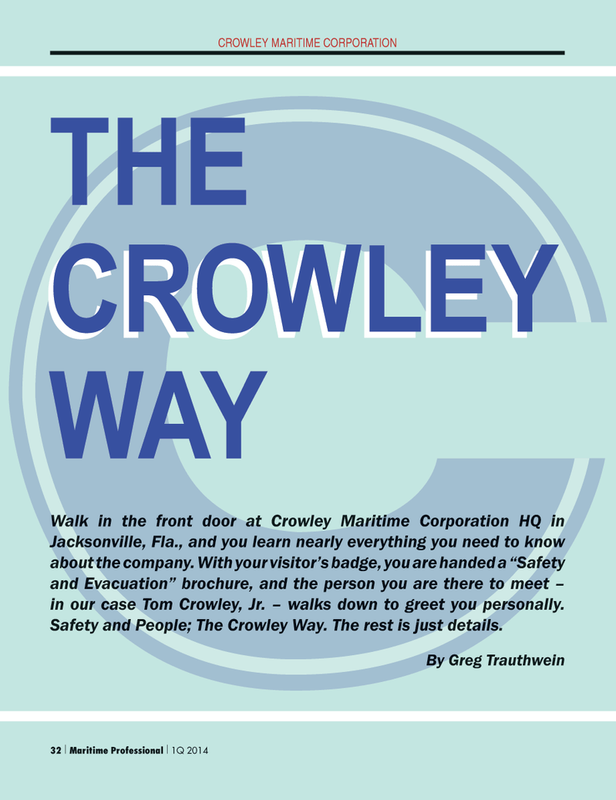 With your visitor’s badge, you are handed a “Safety and Evacuation” brochure, and the person you are there to meet – in our case Tom Crowley, Jr. – walks down to greet you personally. Safety and People; The Crowley Way. The rest is just details.